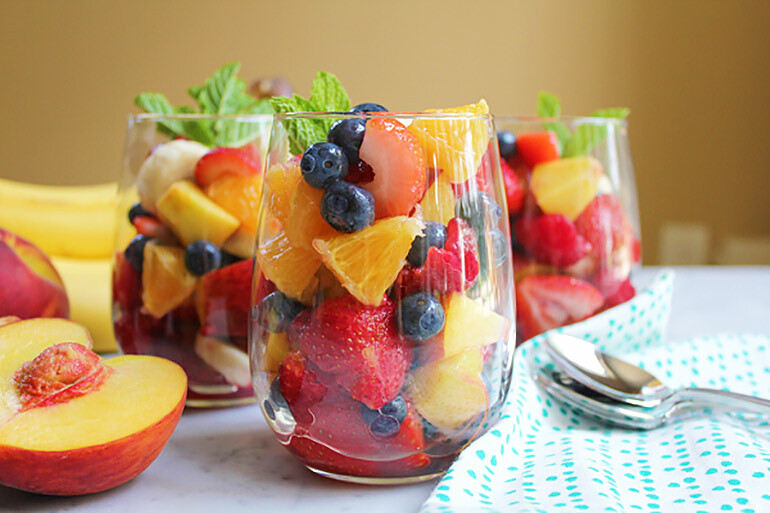 Fruit, fruit, glorious fruit! Amid all the custard, fruit mince pies, the pavlova (oh the pavlova!) 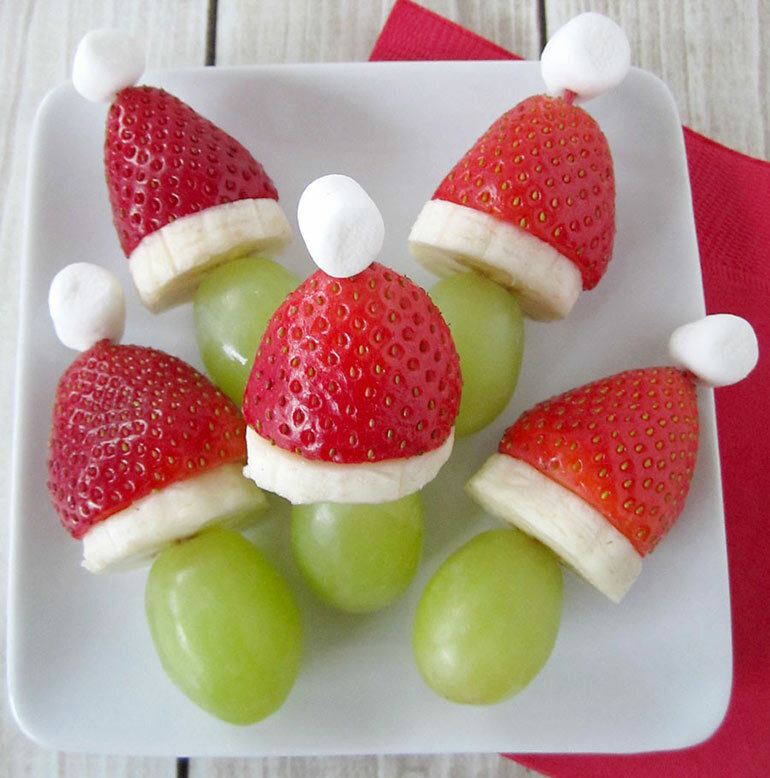 and puddings on offer Christmas Day, how about putting out some refreshingly festive fruit? Summer is such a magnificent time for beautiful fruit here in Australia. From perfectly formed, plump bodied cherries to simple mangoes and berries – it’s ALL delicious at this time of year. Even when you think you have enough food, for sure if you put it out, they will come. 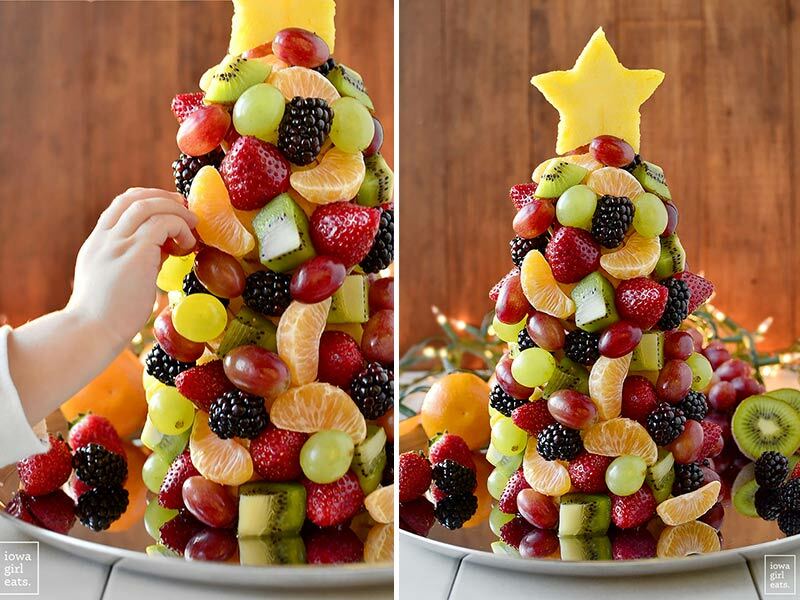 Perfect for lunch sides or nibbles, here’s some stellar ways to do Christmas fruit this silly season. Santa doesn’t get much sweeter than this. 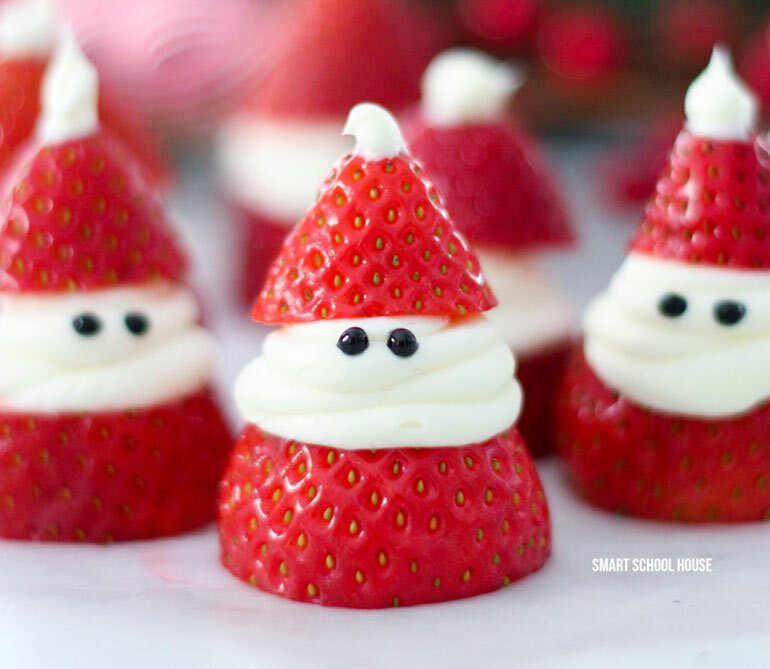 Want to make these adorable strawberry Santas yourself? Smart School House shows you how! 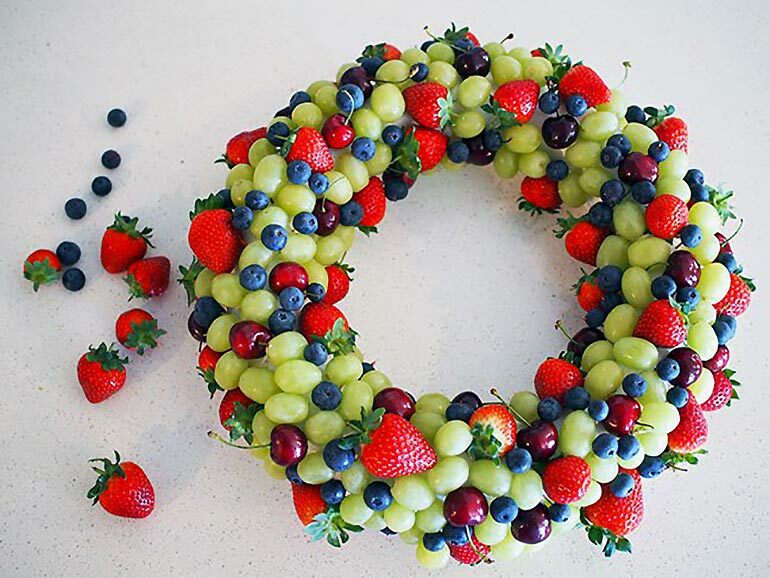 An edible Christmas fruit wreath? Sign us up! See exactly how to make your own fruity wreath over at Mumtastic. A favourite Christmas movie for many families, the kids will love these Christmas Grinch kebabs. Head to Momables to see how easy it is to work Grinch magic on your fruit bowl. 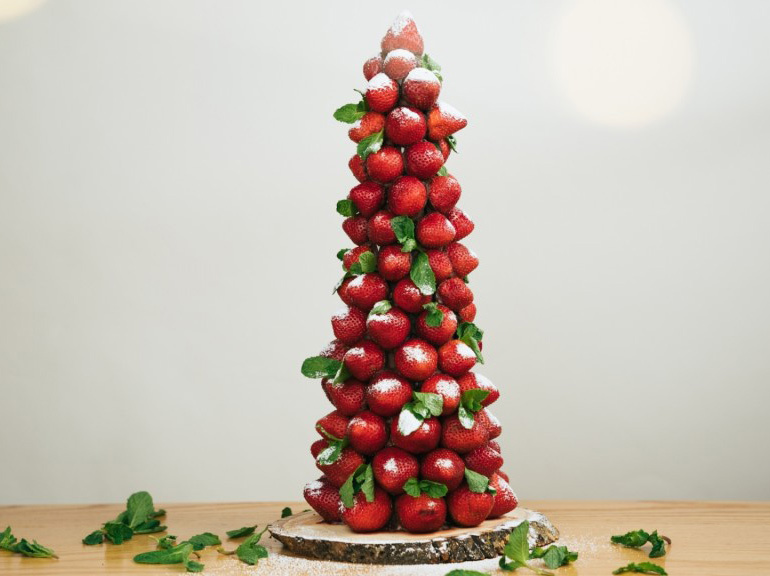 Check out this glorious Christmas fruit strawberry tree from Genius Kitchen. Tempted to add a fondue fountain alongside this berry sweet tree? Me too. I can confidently say the fruit salad tree is a crowd pleaser. I made one a couple of years ago and the kids were amazed at my new found Christmas fruit talent. See how to make one yourself over at Iowa Girl Eats. From Eating Vibrantly, watermelon Christmas trees. The rind is not only a trunk, but also a HANDLE. Genius! I know, who knew the humble kiwi could be an absolute STAR at Christmas? Okay, so technically the star is a tiny pineapple. 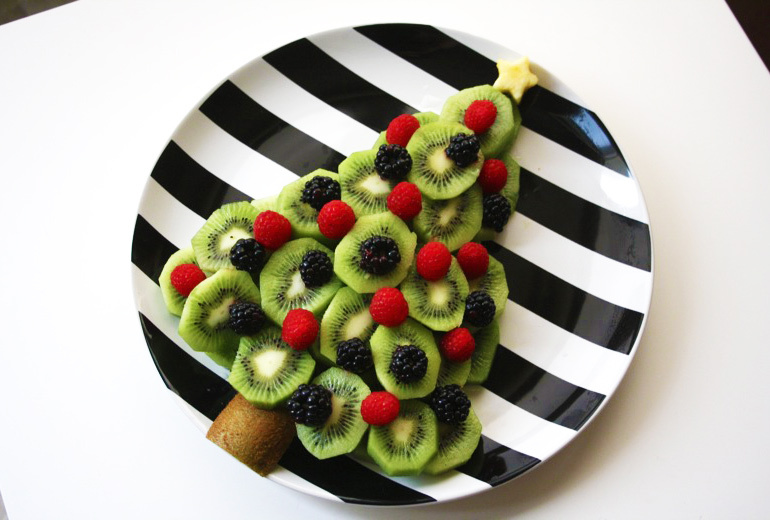 But kiwi slices carefully placed on a platter, just like this tree from Mama. Papa. Bubba, certainly pack a zingy festive punch. Hip Foodie Mom has created simple yet delicious Christmas fruit cups in tumblers, perfect for kids. For adults (or those who you can trust with stem glassware) try a pretty champagne or martini glass. Sweet! 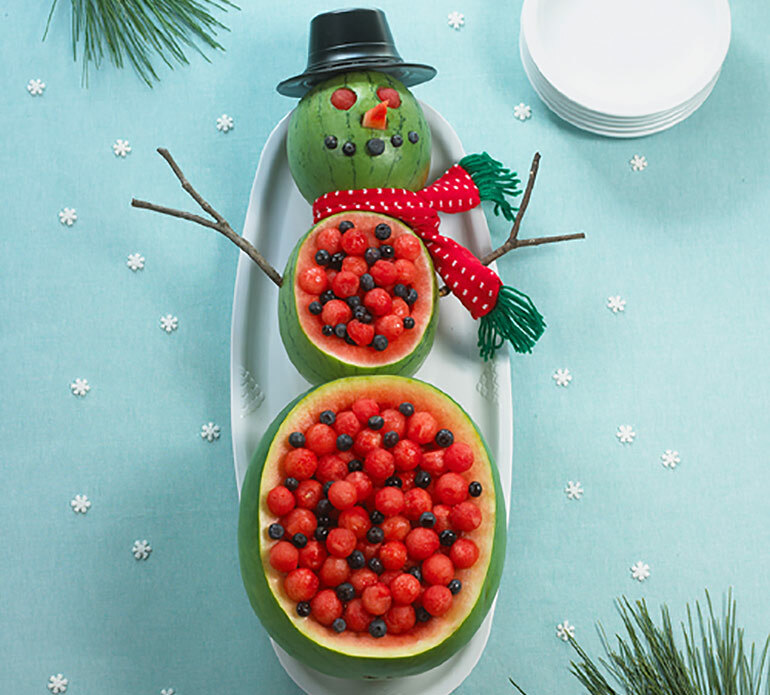 I know it’s unusual to see an actual snowman in Australia mid summer, but you can bring one to the table with a watermelon snowman! Fill his belly with watermelon balls or fruit salad for a funny delicious treat. Thanks for the idea, What About Watermelon. 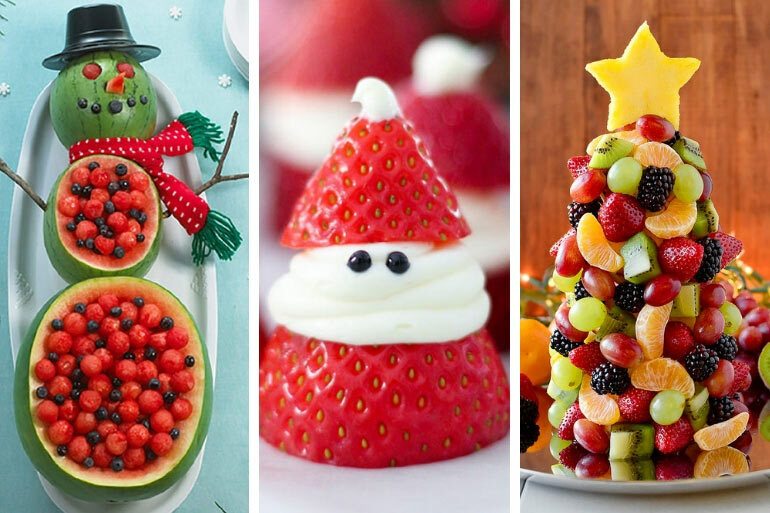 There you have it, NINE ways to serve fruit with festive flair this Christmas! Want some more festive sweetness? Then check out our easy ways to decorate a pavlova.